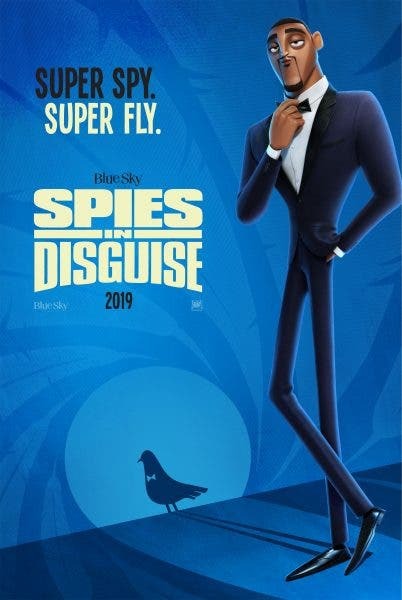 20th Century Fox’s recent trailer reveal of “Spies in Disguise” sees the world’s greatest super agent transform into super fly from super spy. Starring the voices of Will Smith (Men in Black) and Tom Holland (Spider-Man: Homecoming), the duo plays exact opposites in the high-octane world of global espionage. Smith voices Lance Sterling, an awesome, cool, charming and super-skilled spy while Holland lends voice to Walter, a scientific genius who invents the gadgets Lance uses on his missions. Soon enough, Walter and Lance suddenly have to rely on each other in a whole new way when evil took an unexpected turn. And they can’t learn to work as a team, the whole world is in peril.